Ricky Pettigrew was one of four youths in a Ford sedan believed to have been driving at speed down Hikurangi Rd. THE father of a promising young rugby player has described how he could only tell his son to "hang on, mate" as he lay dying on a roadside early yesterday. 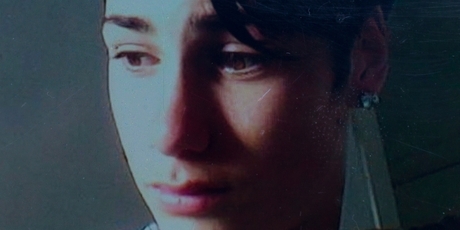 But Rocky Pettigrew says nothing could be done for his 16-year-old son Ricky, who died after a high-speed drive down a rural Bay of Plenty road went tragically wrong. Ricky was one of four youths in a Ford sedan believed to have been driving at speed down Hikurangi Rd, north of Katikati, just after 1am when the vehicle lost control on the tarseal and slammed into a shelterbelt. It's believed the popular Katikati College pupil was fatally struck in the head by a fence batten while he was sitting in a rear passenger seat, his side of the sedan bearing the brunt of the impact. His family suspect they know who was driving but remain unsure. Mr Pettigrew said his 18-year-old stepson, Colt Murcott, was also in the car but left the scene. He was found by police at 6am yesterday limping down State Highway 2 toward Waihi. Mr Pettigrew said he first knew something was wrong when the crash survivors knocked on his door at around 2am. "Ricky was on the ground ... I ran there to see if he was okay, and he wasn't," he said. "They'd pulled him out of the car, laid him on the ground in the recovery position, and I was telling him, just hang on mate, the ambulance will be coming, the ambulance will be coming ... but the ambulance never got there in time and he died." His son was bleeding with a large split down his head. "It looked like he was in the passenger side, in the back, and the car slid into a tree and he got the full force." Mr Pettigrew said attempts to pump his chest and help him breathe were made, "but he died ... there wasn't no point". Two other local 16-year-old boys in the car were taken to Tauranga Hospital with minor and moderate injuries. Colt meanwhile was fitted with plaster and was back home yesterday afternoon, but was too shaken to discuss the incident. Mr Pettigrew described his son as a "brilliant rugby player" who had captained a New Plymouth Boys' High School team before moving to the Bay of Plenty eight months ago. His body was due back at their Tahawai home over the next few days for a tangi. "We'll cremate him and spread his ashes on a football field, because he was mad on the All Blacks." The police serious crash unit was investigating with no other people being sought at this stage. In Woodville, the passenger in a car suffered moderate injuries in a collision with a train yesterday afternoon. Police northern communications shift Acting Inspector Guy Callahan said the crash occurred at a crossing at 4.34pm. The driver of the car and the train driver were not injured. A woman remains in a critical condition in Wellington Hospital after a two-car collision on State Highway One at Paekakariki, north of Wellington, shortly before 4.30am on Sunday. Another woman is in a serious condition while a man has been discharged. National road policing manager Superintendent Carey Griffiths said the fatal Katikati crash was disheartening after a promising start to the long weekend, with no fatalities over the first 2 days. The lowest Labour Weekend road toll was in 1977, when two people died, and the highest was the following year, when 16 people were killed. Police are generally pleased with driver behaviour during the holiday weekend. The official holiday road toll period began at 4pm on Friday and ended at 6am today.